Tamales is a Mexican food that is delicious. We can make the tamales at home or purchase them from the nearest store. If you have the leftovers or buy from the store, you may need to heat them hot. How can you reheat them at home properly? 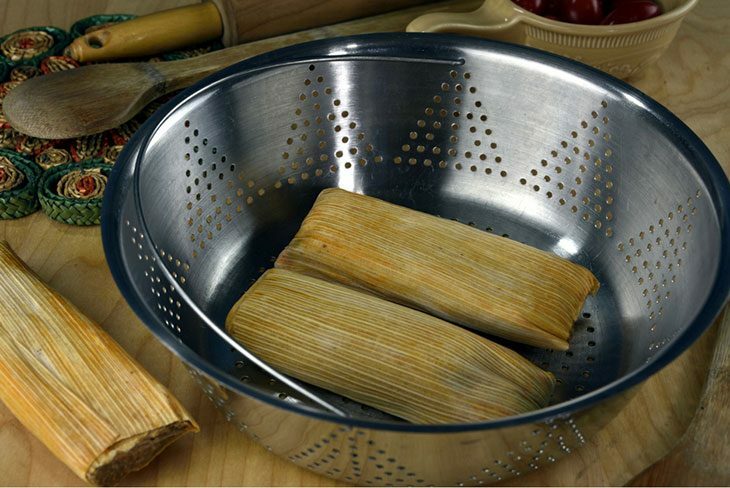 The following information will help you with the best way to reheat tamales easily at home. The steps are easier and simple to follow. After cooking excess tamales, it is important that you keep them well. This is because you can reheat them when you want to eat. This will save time and money. You are not going to throw away the food. I decided to look for the methods of reheating the tamales when I found out that most people don’t reheat them, they instead throw them away. After doing an intense research, I found out more on how you can reheat the tamales leftovers when you want to eat. Thaw the tamales before you put them in the steamer. This is if you kept them in the freezer. You can place them in the fridge to thaw for up to one day. If you have a microwave, you can thaw them using the defrost function. This should take 2 minutes. ​Ensure that your hands are clean before you start to handle the tamales. 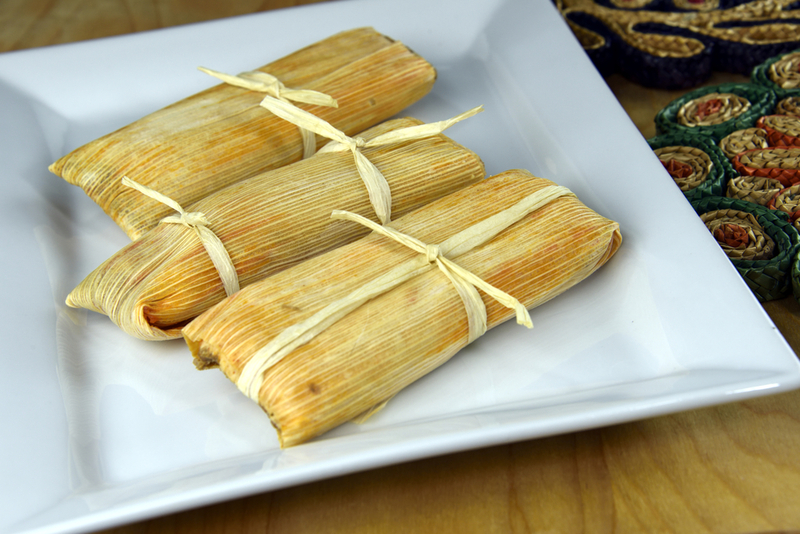 ​After thawing the tamales, take them out of the fridge and unwrap them. You can discard the wrapper or recycle them. ​Don’t reheat the tamales with the wrappers, the plastic may melt or the aluminum foil may catch fire easily. Heat about 4 cups of water in a 4-quart pot. Heat the water over medium-high heat and cover. Put the steamer rack into the pot. As the water boils, arrange the tamales properly with space between the tamales. If they are too close, they will not be reheated evenly. The open ends should face up. If you have more tamales to reheat, do it in batches. After arranging them well, cover the pot. ​After 15 minutes, check the temperature. Use oven mitts to lift the lid. Check the internal temperature of the tamales using the meat thermometer. The inner temperature should be 165 degrees F or more. If they have not reached the 165 degrees, cover them again for about 5 more minutes and check the temperature. ​When ready, put off the stovetop. Take the lid from the pot and remove the tamales using a slotted spoon. Put them on a clean plate. Let them cool for few minutes before they are served. Enjoy the delicious hot tamales. Arrange your tamales on the plate properly. They should not touch each other. Leave an inch space between them. You can heat only two tamales at once to ensure that they are reheated properly and evenly. Use a damp towel to prevent the tamale from drying. Put it over the tamales. This will help to preserve the texture and the flavor of the food. Put the tamales in the microwave and set the timer for a quarter minute. The plate can be placed on the turntable if it is there. Monitor them as they are reheated. When the time is over, open the microwave and take the towel and dampen it again. Turn the tamales over and put the damp towel over them. Set the microwave for another a quarter minute. And press the start button. Check the internal temperature of the tamales using the meat thermometer. 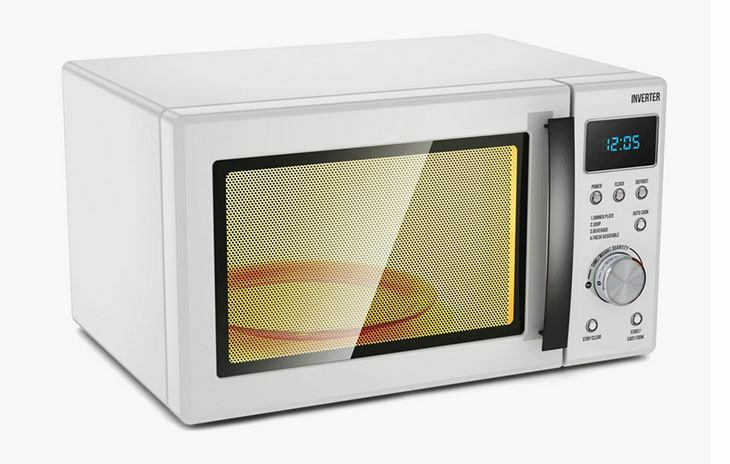 The temperature should be 165 degrees F. if not ready, you can dampen the cloth and put them back in the microwave 15 more seconds. You can run fingers through the tamales to check if they have been reheated evenly. This is because the microwave may heat unevenly. This method can work well if you are not in a hurry. You can also be cooking other meals like the cornbread to eat together with the tamales. Here you can use the ﻿best counter convection oven. Use the aluminum foil to wrap the tamales three times separately. Ensure that then air is squeezed out. Arrange the tamales on the plate properly without them touching each other. Preheat your oven up to 325 degrees. Place the wrapped tamales in the oven and allow them to cook for up to 20 minutes. Take the tamales from the oven and turn them over. This will ensure that they are reheated evenly. Ensure that you use the oven mitts when removing the plate. Check the temperature of one of the tamales using your meat thermometer. It should be above 165 degrees. If they are still below the desired temperature, put them back in the oven for 5 more minutes. 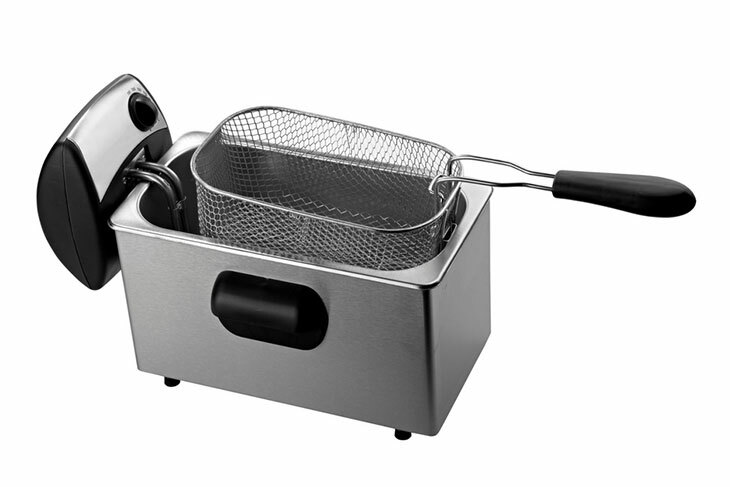 Using a deep fryer is not a good idea for those who are on diet. Don’t use this method if you want to reduce the number of calories that you consume. Although reheating the tamales using this method is easier and simple. The reheating process will only take about 3 minutes. If your tamales are frozen, ensure that they are defrosted in the microwave for about 3 minutes. The deep fryer should be set to medium heat. Remove the husks and put the tamales in the fryer. You can reheat the tamales separately. Each should take about three minutes. The surface of the tamales should be crispy brown when they are ready. The stove works quite well when reheating the tamales. This is very easier and simple. The flavor will be intact. Put a pan on the cooktop and set the heat. The heat should be medium. Use a small amount of oil to oil the pan. You can use 1 teaspoon of your cooking oil. Uncover the tamales and put them in the pan. Cover and flip them after about 3 minutes. When ready, the surface of the tamales should be crispy. If you have a dozen of tamales, it will only take about 10 minutes to reheat them. It doesn’t matter whether the tamales are thawed or steel frozen. As long as they cooked properly, they can be reheated and eaten within the 4 hours. Ensure that the method you use to reheat is healthy. 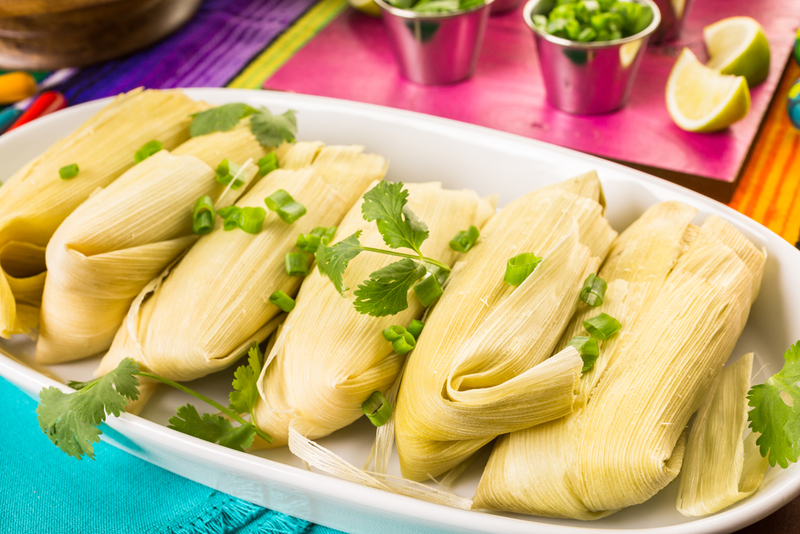 We have discussed the 5 methods that you can use to reheat the cold tamales for your next meal. If you need a steamer, you can also consider the best vegetable steamer for your food. This will help you to choose the best. Did you enjoy reading the above methods for reheating the tamales? The list will help you to enjoy hot and tasty tamales. You will also save some money and time. You will be full and satisfied after taking the delicious hot tamales. Do you have any other idea on reheating the tamales? You can share with us what you think in the comments section.